The 3.1.5 update version of Joget Enterprise edition features a notable security improvement over the earlier version. 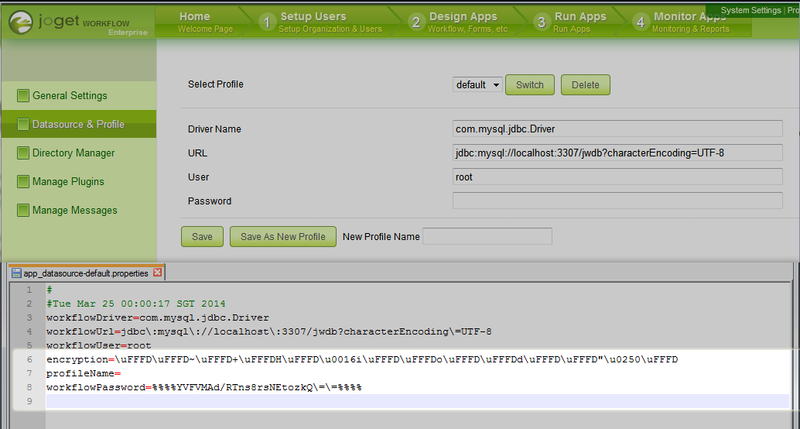 Master Login is typically used for handling JSON API calls. Encryption is now added to protect the credential to prevent one from retrieving it directly from the database. Database access credential stored in the Datasource Profile is now encrypted as well to prevent one from being able to retrieve the credential directly to access the database. For a complete list of changes, please visit Joget Workflow v3 Enterprise Edition Version Changes.